Very soon you will be back to school or to university, or to work. And you'll need a new timetable or weekly planner. 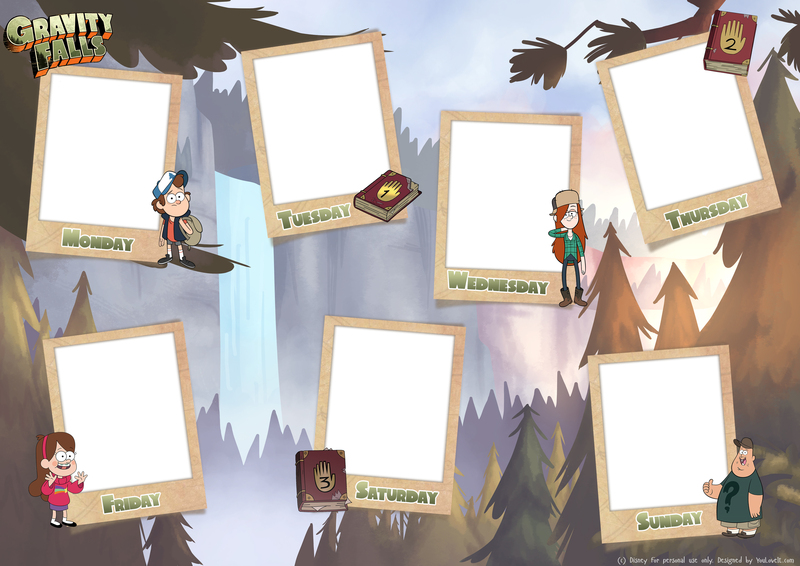 And today we want to present our new design for planners with Gravity Falls characters. Hope you Mondays want'be so blue with Dipper and Fridays will be more fun with Mable. Click on the picture to load it in full size.